Thousands of oxen-drawn wagons passed here from 1860 to 1867, before completion of the Union Pacific Railroad across Nebraska. Carrying military and mining supplies, and emigrants moving west, they cut deep ruts across the tallgrass prairie and at Spring Creek fording sites. 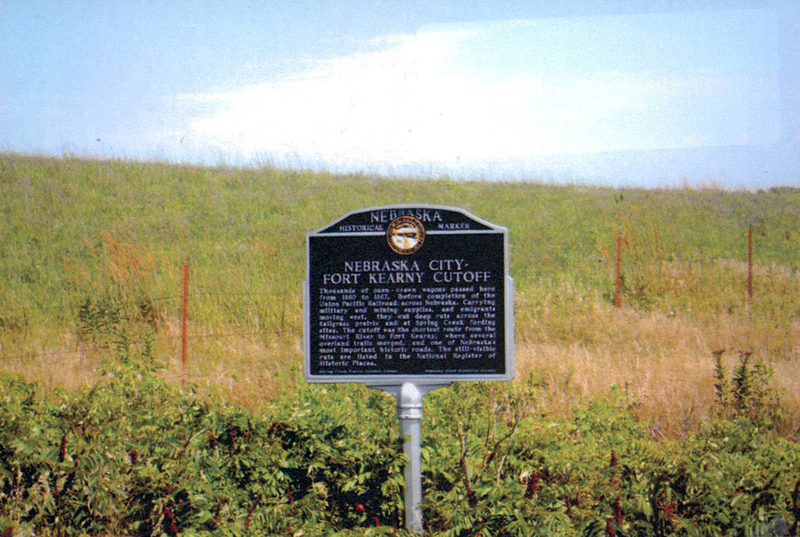 The cutoff was the shortest route from the Missouri River to Fort Kearny, where several overland trails merged, and one of Nebraska's most important historic roads. The still-visible ruts are listed in the National Register of Historic Places. “Nebraska City-Fort Kearny Cutoff,” Explore Nebraska History, accessed April 19, 2019, https://mynehistory.com/items/show/338.